As rarities marched forward, there was freshly minted palladium pandemonium. Wow! Fall must be just around the corner. Temperatures dipping in the low 40s at night and leaves shedding their formal green for a rather festive amber and red attire are sure tell-tale signs of the impending arrival of autumn. 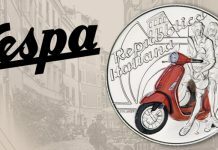 Another way to gauge this meteorological happenstance is numismatically, as the last Long Beach Expo for the year conveniently coincides with the onset of the new season. The last Long Beach for 2018 was an active affair on several fronts. 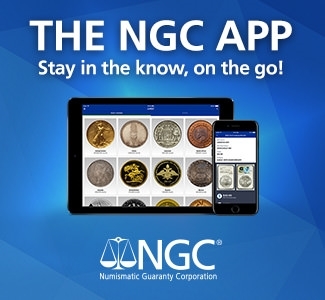 The Heritage Long Beach Signature US Coins sales realized just under $5.7 million and the top performers were NGC-certified. Leading the way, the always wildly popular 1915-S $50 Octagonal Pan-Pac. This example, graded NGC MS 64, took top honors at $90,000. 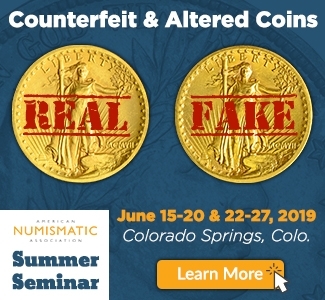 Truly a magnificent original-looking coin, and although the round variant is scarcer (483 mintage for the Round vs. 645 for the Octagonal), I have always preferred the 8-sided massive modern wonder! 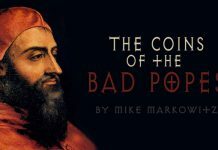 The runner-up: the King of the Morgan Dollars! This 1895 Morgan Dollar, graded NGC PF 65, realized $87,000. This Proof-only issue (880 minted) is, as far as we know, the only version available for the 1895 date, as no other strikes have ever been located. 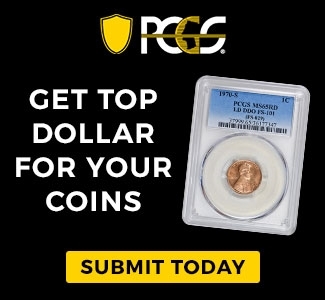 This coin screams originality. Yet quite impressively, the Heritage Long Beach World & Ancient Signature sale actually eclipsed the counterpart US Signature sale by pulling in just under $5.9 million! I, of course, had to dig into the records and find out when (and if) this has occurred before at the September Heritage Long Beach sale. 1909 Korean 20 Won, graded NGC PF 64. Realized: $632,500. For Coindexters like me who needed to know, it has been seven years since this phenomenon last took place. It was the remarkable September 2011 World & Ancient sale anchored by the fabulous Dr. Norman Jacobs collection of Korean & Japanese coins, which soared to nearly $20.2 million (vs. $8.5 million for the US signature sale)! 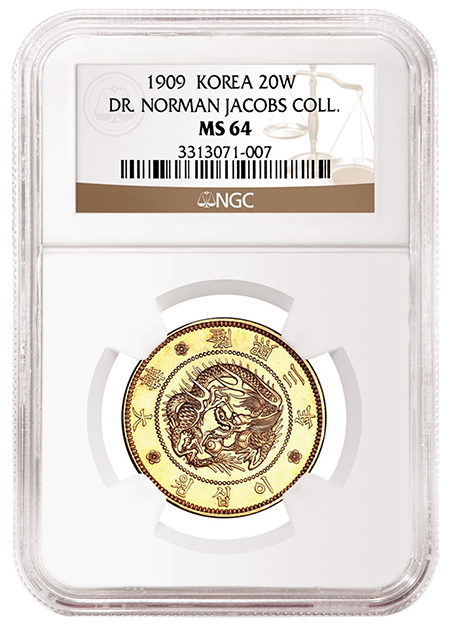 In the 2011 world event, iconic and rare NGC-certified Korean, Japanese and Chinese treasures raced to record levels. This 1909 Korean 20 Won, graded NGC PF 64, led the way, thundering to $632,500! In total, 25 lots catapulted over $100K. In fact, those 25 alone pulled in $6.53 million themselves; averaging a powerful $261,520 per lot. 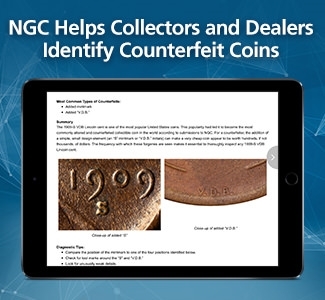 A quick recheck of those high-octane lots confirms the strong demand for NGC-certified world coins seven years ago, as 21 of those were NGC-certified, with the four others being sold as raw. Now, flash forward to this just-closed Heritage Long Beach world and ancient sale. It featured 3,460 lots and pulled in just under $5.9 million. 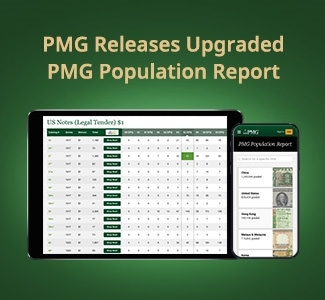 Nearly 77% of the lots sold were NGC-certified! 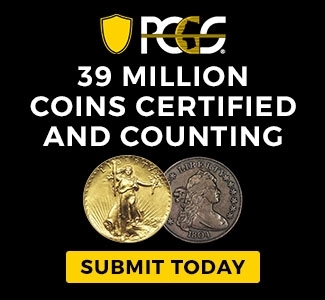 A strong testament to the strength and increasing popularity for world coins! Although none of the lots topped six figures, a diverse grouping of 33 lots boasted low to mid-five figures. The top NGC performer was this rarely encountered 1656 Great Britain Oliver Cromwell Gold Pattern Broad of 20 Shillings, graded NGC AU 50, which realized $26,400. A superb engraving and strike give this short-lived pattern coinage of Cromwell vast appeal to collectors and historians. Another historic and exceptionally appealing coin also hails from Great Britain: this Elizabeth I (1558-1603) Gold Pound ND (1595-98), graded NGC AU 55, which realized $21,600 Just a scrumptious-looking molten butter gold coin from Elizabeth I. The portrait imagery of Her Majesty and execution on this larger gold coin is phenomenal! 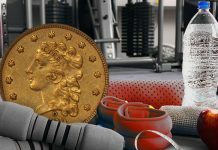 However, while the Long Beach Expo was getting underway (with the first official day for the public on Thursday the 6th), at high noon Eastern time there was a rush by dealers and collectors to dial or get online for the US Mint’s latest “gotta have” coin. Collectors had discussed at length this highly touted release (one that dealers were campaigning feverishly for) was, at last, going live. 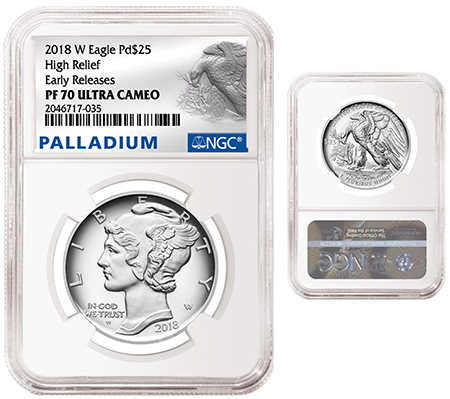 All the hubbub was for the 2018 $25 Proof Palladium Eagle. Boasting an extremely attractive high relief design featuring A.A. Weinman’s “Winged Liberty” head (or Mercury dime element) for the obverse and the reverse reprising Mr. Weinman’s sculpting of his bold and rather intimidating-looking eagle, which was first used for the 1907 American Institute of Architects Gold Medal! 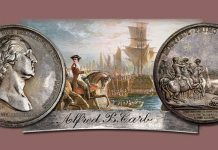 So, the precious metal coin is attractive, but what else made this issue so enticing to collectors and dealers? Well, this is the first time in which a US palladium coin was being struck as a Proof. It was limited to a mintage of just 15,000 and there was a strict limit of one coin per address. These three factors created an ongoing palladium pandemonium! Just before the noontime bewitching hour, buyers were ripe on the electronic networks, offering to buy the coins at up to $450 above the issue price of $1,387.50. Now, about a week later, the top buy offer on CCE is a whopping $2,100 ($712.50 above issue price) or nearly 51.5% above the US Mint’s sale price. eBay had been flush with pre-sales with “Buy It Now” prices of $1,750, achieved just a few days before the official release. These now seem to be veritable bargains. 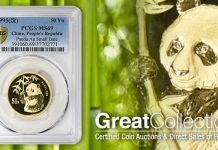 Now, not even a week later, nearly 800 coins have been sold on eBay alone with the top “in hand coin” claiming $2,500. Conversely a “buy it now” price of $6,499 has been doled out twice for an Early Releases NGC PF 70 Ultra Cameo! Well, we shall see how this story will play out. 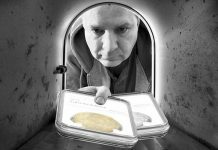 Hey, my doorbell just rang and my Proof Palladium Eagle was just delivered! Time to take a peek!